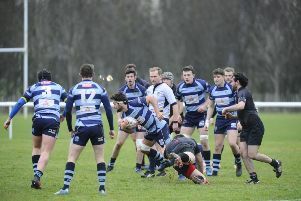 Getting themselves off to a cracking start Falkirk most certainly took their chances when presented in scoring three well taken tries,and taking a deserved 15-8 half-time lead into the break, over fourth placed Dumfries at Horne Park last weekend. 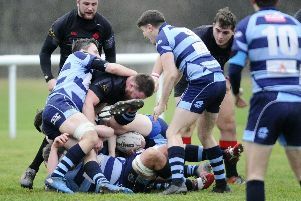 With just four fixtures remaining, and bearing in mind the imminent restructuring of the leagues next season, Falkirk most certainly knew that an all important win was crucial against Glasgow High Kelvinside at Horne Park last weekend, in order to finish off in the the top six. 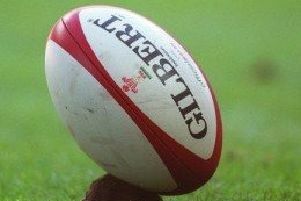 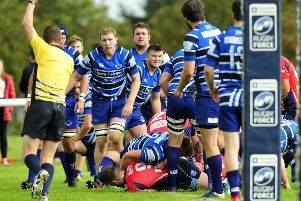 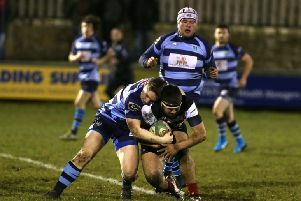 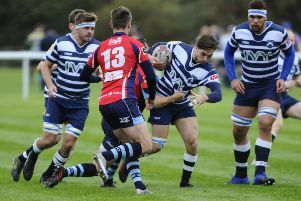 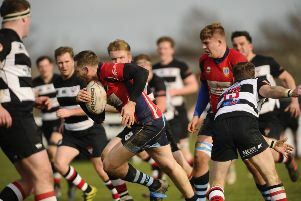 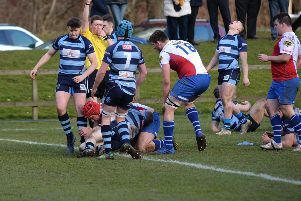 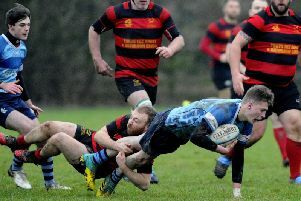 Although going down pretty heavily to currently sixth-placed National Division 1 side Aberdeen Grammar Falkirk still put up stiff resistance for most of the first half after conceding an early second minute unconverted try. 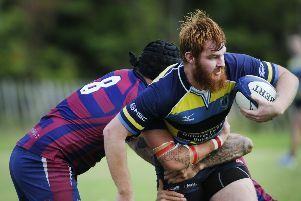 Despite an encouraging opening first quarter spell Falkirk still went down heavily to current league leaders Biggar at Horne Park last weekend. 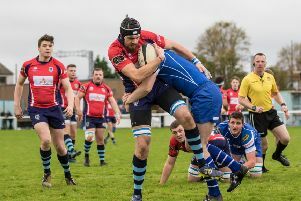 Leading more than comfortably at the break by four tries to one Falkirk looked in fine shape to add to their tally of points in the second period of play, but Peebles almost upset the apple cart and left the home side biting their fingernails at Horne Park last weekend. 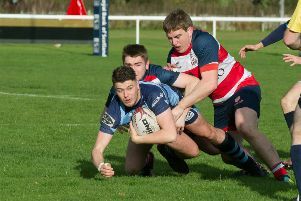 In yet another nerve jangling ending, which bore all the hall marks of their home match against Highland earlier in the season, Falkirk survived a late Accies surge and hung on by their fingernails for the narrowest of victories at Horne Park last weekend. 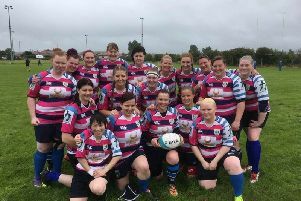 Falkirk Ladies headed to St Andrews on the latest leg of their maiden national development league season, and continued to excel. 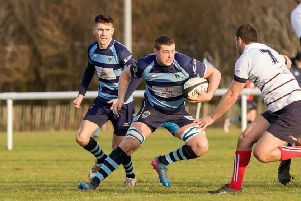 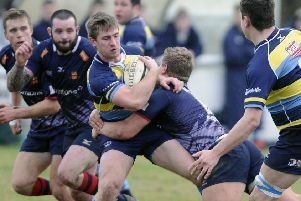 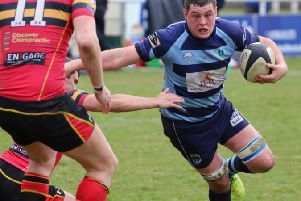 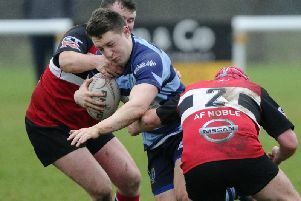 It could be said that last Saturday’s opening league fixture marked a new era for Falkirk because with only five players remaining from their previous season’s 1st XV squad it fell upon their youngsters to step up to the plate and show what they are made of at Mayfield, Dundee. 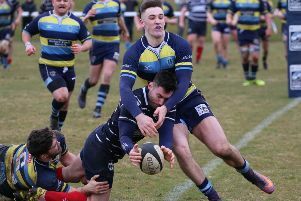 Commencing the New Year on a very positive note Falkirk competed strongly to overcome an industrious Dundee High side at Sunnyside last weekend, in a thrilling encounter.